THE CITY OF LAFAYETTE WANTS TO HELP ROPER LOWER IT’S ELECTRIC BILLS… BUT NOT IN THE WAY THE INDUSTRY HAS REQUESTED. THE ROPER PLANT, OWNED BY G.E. – IS SERVED BY NORTH GEORGIA ELECTRIC MEMBERSHIP CORPORATION… AND SAYS THE LAFAYETTE PLANT HAS AMONG THE HIGHEST ELECTRICITY COSTS OF ANY GENERAL ELECTRIC FACILITY. SINCE ROPER IS IN THE CITY OF LAFAYETTE ELECTRIC DEPARTMENT’S TERRITORY, NGEMC HAS TO PAY THE CITY A 4-PERCENT FRANCHISE TAX. IN A RECENT LETTER, ROPER REQUESTED THAT THE CITY DROP THE 4 PERCENT FEE… BUT THE MANUFACTURER APPARENTLY DOES NOT WISH TO SWITCH TO CITY OF LAFAYETTE POWER AT THE PRESENT TIME. Roper, LaFayette’s largest employer, is struggling to stay solvent and relevant as it battles foreign competition, high material costs, and a souring economy. Roper’s parent company, General Electric, has been shopping the appliance division to several competitors, including China-owned LG, and may eventually close it down entirely if no buyers can be found. In light of all that the company’s leaders are looking for ways to cut costs in any way they possibly can. Roper’s operations require a considerable amount of electricity which it buys from North Georgia EMC. Since Roper sits within LaFayette, the Georgia Public Service Commission allows the city to charge NGEMC a 4% “franchise fee” which is passed along to Roper in its monthly power bill. Despite being in an area with some of the nation’s lowest power rates, that extra 4% makes Roper’s electrical costs among the highest of any GE-owned facility in the world. That prompted Roper to approach the city and request that the additional fee be waived. IN DISCUSSION AT MONDAY’S CITY COUNCIL MEETING, MAYOR NEAL FLORENCE SAID IF THE CITY REFUSED TO COLLECT THE FRANCHISE FEE FROM NGEMC FOR THE POWER IT PROVIDES TO ROPER… THEY WOULD HAVE TO REFUSE TO COLLECT THE FEE FROM ALL OTHERS, AS WELL. According to the mayor, the city can’t waive the fee for Roper without ending fees charged to any LaFayette business or individual buying power from outside power providers. No details were given at the meeting (or in its minutes at least) about how many properties this would include or what rules specifically require the fees to be charged uniformly. THAT WOULD MEAN A LOSS OF ABOUT 233-THOUSAND DOLLARS ANNUALLY… AND THE CITY CAN’T AFFORD THAT LOSS, THE MAYOR SAID. Dropping the 4% fee would cost the city a total of $233,000 – only part of which would be lost from Roper. That decrease in revenues would pinch a bit, but it’s only a small part of the whole LaFayette city budget. What the city truly cannot afford is the amount of money it’s set to lose when Roper closes and sends most of the area’s remaining jobs overseas – but that’s exactly what the council’s actions are daring it to do. Roper reportedly employs 1,500 people. Losing those jobs would devastate what remains of the city’s middle class population and lead to a mass exodus that would crater an already-struggling local real estate market. Roper would soon be followed by many other local businesses that hang by a thread; the loss of so many area jobs would be an economic tsunami destroying gas stations, restaurants, retailers, and any other business currently patronized by Roper employees or their families. Such a drastic impact would turn LaFayette into a virtual ghost town, inhabited only by the region’s poorest residents and the FiSDOP’s in leadership. This scenario almost played out before, some forty years ago, but in that case the employer wasn’t Roper but Barwick Carpet. Several of LaFayette’s most prominent citizens, led by attorney Fred Henry, realized that the city would be in serious trouble if Barwick, the only sizable employer, closed down or left town. They formed a Chamber of Commerce, the Walker County Development Authority, and several other organizations dedicated to bringing business into the area, then actually worked to accomplish those organizations’ set goals. 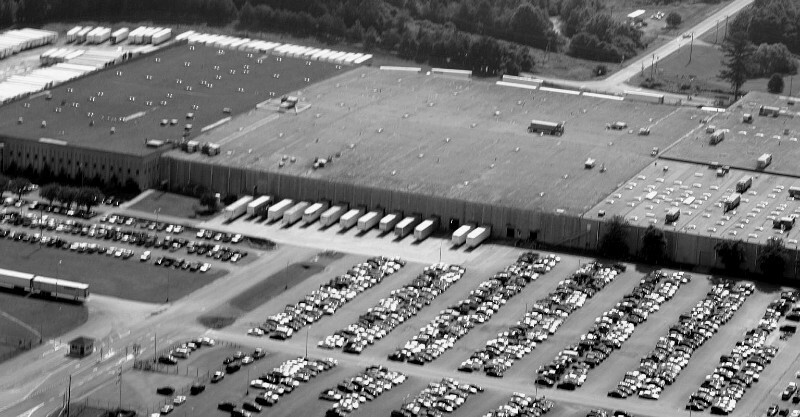 The effective (and LaFayette-focused) Development Authority of the early 1970’s, led by Mr. Henry, developed an industrial park on the south side of LaFayette by Barwick’s air strip and then attracted viable businesses to build facilities in it. 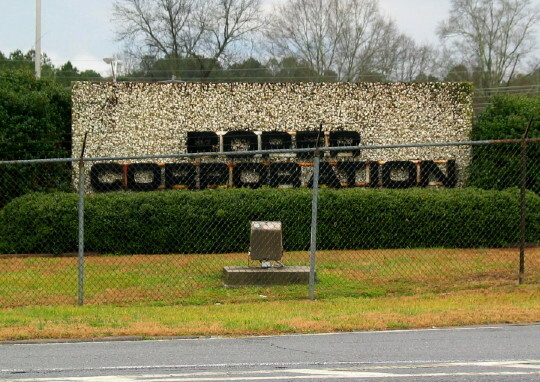 Roper Corporation opened its plant in 1973 on untaxed property deeded to the Walker County government. Shortly thereafter similar arrangements led Blue Bird to set up a bus assembly facility nearby. Less than ten years later Barwick Carpet, after a decade of embezzlement from its top executives, declared bankruptcy and closed down all of its facilities, including the Automotive Division in LaFayette (now much-smaller Auto Custom Carpets) and a huge manufacturing plant in Kensington. The disaster foreseen by Fred Henry and other local leaders had come to pass, but their wise planning kept it from being the catastrophe it could have been otherwise. Fred Henry passed away in 2008, leaving the city’s economic future in the hands of its current clueless council. The employment disaster recognized and avoided in the 70’s is now being perpetrated by leadership so short-sighted and disconnected from reality that they can’t recognize that a small dent in the city’s operational budget is a small price to pay for keeping its largest non-governmental employer from leaving town. 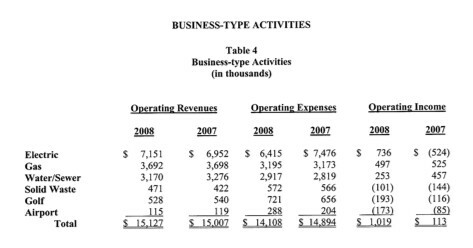 In 2008 the LaFayette electric department had expenses of $6,415,000 and revenues of $7,151,000, making the city a profit in excess of $730,000. All of the city’s utility services except solid waste were profitable in 2008, bringing in combined profits of $1.385 million after expenses. A good chunk of that profit, however, goes into a black hole, supporting the airport and golf course which lost a respective $193,000 and $173,000 in the same time period. The total amount spent on those “essential” city services comes up to $366,000 – a hundred grand and change more than the city claims it would lose by cutting Roper a break on its power bill. Every electric customer within the LaFayette utility district is being overcharged for service in order to cover losses associated with the golf course and airport. Through their monthly utility bills, Roper and every other business and home in town are subsidizing the loss-leader hobbies and business interests of LaFayette’s city council and their friends. But somehow the city can’t justify losing $233,000 a year to subsidize utilities for the place where most of its taxpaying residents work. Airport rates are unpublished, but obviously the city doesn’t charge enough for its usage or the thing wouldn’t have lost a hundred and seventy-three thousand dollars in 2008. The airport is primarily used not for landing aircraft but for storing them, so a majority of the revenues there come from renting out hangars. Several of those hangars aren’t used for planes at all but serve as below-market-rate office space; the published address and phone number for Patton Places, Inc. (Wendy’s franchise owner) are attached to a hangar at the LaFayette airport. Fred Henry was an avid golfer and played a key role in expanding the LaFayette course from 9 holes to 18, but we’d like to think he had his priorities in order and would never have chosen low greens fees or cheap office space over keeping a major employer in town. Mr. Henry had wisdom, vision, and a concern for everyone living in or around LaFayette. In contrast, the city’s current crop of leaders are so ignorant and self-focused they can’t see past the end of their own golf clubs. Roper’s request is relatively tiny in the whole scheme of things. The manufacturer has asked for little more than a token of support from the city council, in the form of a few hundred thousand dollars in concessions to reduce its operating costs. The council’s non-response to that request is staggering, practically telling Roper it can go to hell – or at least Mexico. The response will also serve to keep other yet-unknown companies from moving their facilities into the community since they obviously cannot expect any help or support from the city’s leadership. A few weeks before the 2008 election, Walker County Commissioner Heiskell issued a press release touting her hand-shake agreement with Roper’s leaders to keep the manufacturer in town for 11 more years. A verbal agreement between the plant’s local management and the county commissioner is no guarantee that the parent company won’t close it down anyway, but the commissioner at least pretended to care about keeping the mill open. The city council’s handling of this matter shows they don’t care about Roper or the jobs it provides to a great number of the city’s residents. Citizens of LaFayette have two choices: Continue to support and encourage the current mayor and city council as their hobbies and self-interests send LaFayette down the road to economic ruin, or vote for new blood who will do whatever it takes to keep jobs in town. I would like to inform you that your story may be in fact correct on the matter if Roper was to leave LaFayette that it would destroy the remaining economic structure of city and some surrounding counties. However, for the ones like yourself that only want to start up fear mongering in the community, I would like to let you know that Roper Corp. has rehired the majority of the employees that were on temporary lack of work over the last year. However, along with the rest of the country, yes, there were some loss of jobs in this down turned economy. If you do so much extensive research then you probably would have uncovered the fact on how much impact that the Roper plant has on the Consumer and Industrial portion of GE, which since the banking community has had so much trouble that GE itself is re-evaluating the importance of this division and not very lucrative but needed products throughout the continent. Not everything that you or anyone else reads in the Messenger and the like is a lie or always corrupt, I mean really, it is LaFayette. You must also remember that, they, unlike yourself crank out story after story and you and your crew take forever just for one. Thanks for your time. I’m glad Roper is doing well and hope to see it stay in town forever, but that doesn’t defend the city council replying to their request that way. We’re not “fear mongering” but trying to report and discuss things that fly under the radar otherwise. Stories on The Underground take longer to write because we’re doing this as a side job, unlike the Messenger which has at least two paid employees – and we research things instead of just linking to the Chattanooga Times as the Messenger’s Web site has been doing this week. You’ll also note that the Messenger hasn’t mentioned a word about Roper’s request to the council. B.Waras, did you even read the article? It has nothing to do with Ropers success or non-success, it has to do with the city not giving any kind of concession to Roper to encourage it to stay here in regards to the power bill. GE’s Roper plant is not in great shape, they’ve tried to sell off their appliance division for awhile and just because Roper tells its employees that everything is fine doesn’t mean that it is, that is what all companies do until the day they decide to close the doors. The LaFayette Underground is all for the work force of LaFayette, it is all for new jobs, keeping jobs and maintaining a strong economic community. You missed the point. It is nice to see that roper is doing well. However, you need to think about why its doing well. First of all they make appliances mainly electric and gas ranges ‘stove/oven’. Which the majority of those are for new housing. With the crash of the housing market has caused a major decrease in the number of housing being built. I don’t know the actual number off the top of my head. So considering that roper has rehired everyone and started its assembly lines back up only leads me to ask the question. What are they doing with those appliances? Some are being sold due the the tax break that’s being offered for those who buy new kitchen appliances, but its only a matter of time before that government program is bust! As for the remaining inventory, it would seem that they are headed to some storage warehouse and are only being built because the government is throwing them money to get them to build the appliances. So what happens when the government money runs out and GE has a massive inventory left over from the increased production? GE is most likely going to close roper down, it might not be a permanent shut down but they will most likely be closed until the excess appliances are gone. Of course GE isn’t going to tell the people in charge or roper whats really going on, no large company would. For example I knew the LaFayette Movie Gallery was closing 1 and a half months before they closed and the manager found out 1 week before the liquidation started. I don’t think this should be considered fear mongering but rather being prepared for whats to come. Hope for the best but prepare for the worst! If they close and we aren’t ready we are just S.O.L.! On the other hand if we are prepared for them closing and they don’t we don’t lose anything but maybe a little time preparing. As far as the tax goes losing $233K is a lot better then losing all the jobs and other taxes that is collected from roper not to mention the rest of the power bill from roper. Which if $233K is only 4% that would mean a yearly $5.8 Million which even if that doesn’t go to the city that’s a large amount of money wither it goes to the city, county, state, or NorthWest Georgia Power! The city quoted a potential loss of $200k for dropping the Roper franchise fees, which might well include the cable TV and phone fees as well. Whatever it includes, for $200k they ought to do it. The golf course and airport lose than at least that much every year, and they contribute nothing to the city or its residents – it’d make Roper happy, maybe keep them around longer, and lower all of our utility bills. Dropping those fees wouldn’t lead to higher taxes if they’d just stop throwing money down the black hole represented by their own hobbies and raise rates at the golf course and stop renting out airport hangers to businesses for less than the market rate for commercial office space. You folks should read the entire article and try to understand what the words mean instead of scanning over the first couple paragraphs and posting a reactionary comment. I don’t play golf but my kids do.I for one am glad they have a place to play.So in my opinion that’s a benefit. By the way I’m not the only parent that feels that way. Kids need a place to play. But the city’s goals aren’t to provide that. They raised admission for the pool to $4 a child (and now charge non-swimming parents the same so they can’t afford to stay and watch the kids), they cancelled summer programs at the rec, took down several of the smaller playgrounds, and can’t even do maintenance at the play areas that remain. Some kids are being taken care of, but only the ones whose parents can pay out the nose for them to have golf equipment or to participate in an activity that used to cost less or be free. FiSDOP children have every opportunity in the world, with their parents’ hobbies subsidized by the city, while kids who don’t have money, the ones who are most at risk of getting in trouble and most in need of these programs, are being screwed. It’s not like the one costs more than the other, most of those would actually cost less, but they aren’t a priority because they’re things “those people” use instead of being things the “right” people use. Thank you L U I get the impression you are not easily pleased. Try warm baths that might take the edge off. I don’t why I didn’t pick up on the mental defect any sooner…………….Snake-man thinks it’s a great thing to spend Meg$ of our tax dollars so that his children do not have to suffer the indignity of “Goony Golf”………..OK.
Again you are wrong L.U.G., if what I heard from friends is correct, the golf course lost 70,000 dollars last year. 60,000 dollars of that was lost in property depreciation(not actual money lost). So it cost the city 10,000 dollars to operate the golf course last year. I’m estimating that’s about a buck fifty to maybe two dollars that it cost per tax payer in the city and probably less counting people that don’t live in the city, but pay city business/property taxes. I’m sure the audit is public record if anyone wanted to check it out. I am guessing that most people who complain about the golf course haven’t even been there. I am guessing the Lafayette Underground probably has been there since he had a child that plays, but the others should come by and at least stop by and eat lunch. No before you say it, it’s not anymore expensive than the fast food places and it is a lot better. You will see it is not some place that you get kicked out of because no one knows you. Its just a place like a lot of others that you go to except yes you can play golf too. Do not be against something just because you do not know anything about it. Come by on a day when the school kids from around the area are there and see just how many kids benefit from us having the course. WOW!!!!! I LOVE THIS!!! A DREAM COME TRUE!!! !ROCK ON LU!!!!! The word is spreading. preach on brothers and sisters!! The LU is true on this! I know first rate! Yes i am currently being a coward, but what the LU says is true, for this instance. Sure, the Golf course is a place to play, but let’s not forget that it is a public course, and it always has been….and beer has always been a part of game play. It was, before the new clubhouse was built illegal to drink at a public gathering like the golf course. But a deal was struck with the police commissioner a LONG time ago to keep it under wraps and keep it hush hush. If you could gather up all of the aluminum beer cans drank and wasted in a year from any typical day of game play, you could probably balance the federal budget! But don’t bring an open container to the 4th at the rec, or you’ll be sleeping with Bubba at the county. Double standard anybody???? Yeah, let’s let all the kids get drunk off of 9 holes cause it’s okay up there. As for money loss?? there is no way you could be right (informed). maybe the LU is off, but you and your friends are WAY off. You can find these things out for yourself. The golf course has hardly EVER been in the black on the books.. the airport, don’t have any insight on that but golf is only there because the people who run the city play and keep it open however they may like. It doesn’t bother me that much (maybe it should), but hey, the truth is the truth. It provides nothing but debt for LaFayette….. add a new expensive club house and continued under the table gambling on games there-in. We can’t even get a beach volleyball court at the rec like we used to, but they can afford to buy new golf carts every 3 to 5 years. C’mon, have your golf…this won’t change anything, but at least be honest about it. it’s a money pit for those that are ‘in the club’. And don’t give me the holier than thou about good wholesome family golfing when old guys are peeing on the middle of the greens in front of the kids at the pool while drinking a 24 pack of beer gambling and talking about how their nephew just got out of jail for having a meth lab. Try the skating rink… they are doing more for kids around here than anywhere i’ve yet to see I say keep up the good work LU and let’s keep some positive lurking in all the negativity, cause this is our hometown, and hopefully some of the good guys will step it up in the coming years! I’m kind of new at this, but something just don’t make sense. If I can build a 12 X 16 utility building in my back yard, why does my property taxes go up 3 times what it cost me to build it, as soon as I get the last nail drove? Improvement to your property….so since you are now an owner of improved property that means you can help pay for all the silly things that the city and county do! Aren’t you lucky! Well KTB that’s kind of how I thought things worked and that’s what confused me. How can a piece of dirt have 3 or 4 millions of dollars of new building put on it, and depreciate it? Anyone remember Seattle in the ’80’s? We need to start pooling our pennies now to put up signs facing the town off all roads leading out. “Will the last person out of LaFayette please turn out the lights?” The national media picked up on that for Seattle. Lo and behold, Seattle found a white knight in the form of Bill Gates and Microsoft. My grandmother, before her demise, told me no one could insult Mr. Gates in Seattle without picking up a can full of whoop*ss. He saved the town. Yes, we need the equivalent of Bill Gates in LaFayette, but first must get rid of the bloodsuckers draining our town financially. How to do that is through the election process. But there is so much apathy for that process, since the election a few weeks ago showed we can’t even get rid of two bad judges through write-in votes. An informal survey showed more than 200 people wrote in qualified candidates according to the protocols for judges. But the final tallies certified by the state election board showed both Ralph van Pelt and Jon ‘Bo’ Wood took back their seats with 100% of those voting for judges. Anyone think something is wrong there. The solution is to stop believing what the city council and mayor puts out. We also need to become more proactive about finding white knights to come in and help us. There are a lot of people out there willing to help cities but finding them and convincing them to take an interest is another problem. Currently, information available under the open records act is subjected to ridiculously long local procedures. What the city/county attorneys and our ‘esteemed’ leaders know and most ordinary people don’t is that local laws can’t change state laws. That means they can enhance but not change the ‘flavor’ of a state law. So, to make the process more difficult to access information available under open records isn’t enhancing – it’s violating the reason open record laws were created. The information for this is found on the State Attorney General’s website: http://tiny.cc/u9iyx You need to look through the FAQ’s to find out exactly what you’re looking for. You can file a complaint about not getting this information but getting an answer not taken back through our local government won’t happen. However, enough complaints and the AG has to investigate – and we have a new AG taking office in January. 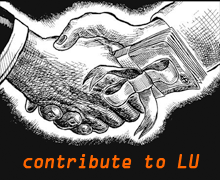 L.U. has suggested county gov’t would work better with a council rather than one commissioner. That’s true. But, as we’re learning with LaFayette city gov’t, said councils need term limits. The old ‘but we have so many long term projects’ won’t work anymore. No more than 2 terms in office and then clean them out. Find people who aren’t politicians but ordinary citizens trying to make a budget work with almost nothing. Those people are the best for making a city/county’s gov’t work with reduced funds. Making places such as the golf course and airport money makers instead of money pits will go a long way to bringing in more business, even a white knight destined to put LaFayette back on the map. But first, we have to get rid of a city council afraid to have their antics looked at too closely by outsiders. Corruption, nepotism, etc., in small municipalities is finally gatting a long, hard and well deserved look from governing authorities a little higher up the food chain. They’re pretty easy to find and to access. Maybe it is time……. i know i dont know what it takes to run a city,but i do belive that honesty,best intrest,an the well being of ALL not just some of our citizens,should be our main goals.LaFayette has had enough BAD meadia,we need something GOOD for all the PEOPLE not just some,because in the end we are all still male/females,would’nt it be GREAT to be know or remebered for the GOOD that we have done instead of what we did’nt do. I agree! Everyone who is involved in this site only have negative things to say. Yes, people could change around here. However, we do need to be supportive about it. Not putting other peoples personal buisness out to the open, and talking about their families. If you really want to be honest, EVERYONE has dirt somewhere, it’s just the process of finding it. So why don’t we just leave it all alone, and promote healthy attitudes towards our leaders. That’s more likely to make a change rather then talking down about them, who wants to do something for someone who is putting their job and trying to make them look like a fool in their city? Yes, if you ignore the bad and only promote the good everything will be solved. That is the perfect solution. Why support leaders who are failures or are doing wrong? That’s just plain stupid. If you don’t want to hear the negative, don’t come to the site and ignore it like everyone else. Or be like the others and try to start your own positive page and see how long before you run out of steam like everyone else. Some people like to know what is really going on, and like to know where they can go and make changes – some people realize that negative things can be worked out and made better, but if ignored that never happens. I agree some of the personal stuff probably isn’t necessary, but even then if you get down to gist of what the LU is trying to say, it relates back to the attitude of entitlement from those who are in charge, and the poor decisions they make because they can, and it only translates into leadership now or later.